In a surprise effort to appease the General Conference and its Unity Commission, the Netherlands Union Conference (NUC) Executive Committee has “decided to postpone the ordination of female pastors until after October 2017 to contribute to the process of dialogue and reconciliation” within the Adventist Church. The statement came as part of a 25-page question-and-answer document for NUC delegates, written in preparation for the upcoming Constituency Session held on May 4-6. The document was uploaded on April 21 to a secure part of the union’s website accessible only by delegates. The announcement, as noted in Altink’s response, came just days before the GC Unity Commission met with the Trans-European Division (TED) on April 27-28. Present at the meeting were Elder Tom Lemon, head of the Unity Commission, TED officers, and the officers of four unions within TED. Long-time proponents of women’s ordination, the NUC Executive Committee voted in November 2012 to support the ordination of women and stated in an announcement that it had “decided to ordain female pastors, recognising them as equal to their male colleagues.” In September 2013, the Netherlands became the first union in Europe to ordain a female pastor. “The delegates of the Dutch churches voted at their Session in the autumn of 2012 to ordain women in an equal way to their male colleagues. The vote took effect in June 2013 and will remain in effect. The decision of the General Conference Session in San Antonio does not change this. The situation within the European divisions is more complex than in other world divisions due to legislation under European Union law that requires men and women to be afforded equal opportunity for advancement. Because of this, European unions have taken their own routes to fulfill this law. While the Netherlands and Germany voted to ordain women, Norway, Denmark, and Belgian-Luxembourg unions suspended ordination for both male and female pastors following GC Session 2015. 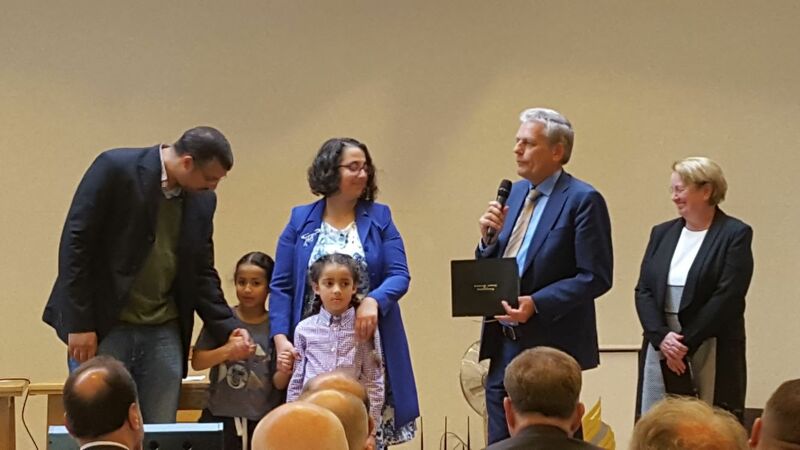 So although the Netherlands' new hold on ordination has come as a surprise to many, officials within the NUC and TED say the NUC is simply showing good faith by upholding TED’s previous commitment to the GC. Another official, who requested anonymity, stated that the NUC’s compliance with the hold on ordination was decided in March by the outgoing Executive Committee whose 2012-2017 term ended during the Constituency Session held May 4-6. This is the same committee that voted to ordain women in the first place. An almost entirely new team was voted in during the May Constituency Session. The elections include Rob de Raad, who replaced Wim Altink as President, Enrico Karg (new Executive Secretary), and Istrahel Schorea (re-elected Treasurer). The postponement of ordination has had a direct impact on at least one female pastor who inadvertently became caught in the middle of the ongoing policy debate. Last year, the NUC voted to permanently employ Tabitha Cedenio-Cummins, known as Pastor Purple to her congregants. Her date of permanent employ was set to begin in March 2017, and in keeping with the NUC’s previous policy, this meant that Pastor Purple would be ordained at that time. However, the pressure from the GC’s Unity Commission, and the February statement from TED, complicated the situation. The NUC decided to postpone Purple’s ordination until after Annual Council in order to fall in line with TED’s request. In the meantime, the NUC decided that a commission would serve as a placeholder to ordination, thus allowing her to exercise the full abilities necessary to do her pastoral work. For instance, a commissioned minister has the authority to baptize, lead communion, and perform weddings. Several officials within the union confirm that the commission ceremony was originally scheduled to occur at Pastor Purple’s local congregation. However, because of the highly charged political atmosphere surrounding the recent meetings between the Unity Commission, TED, and the unions, several pastors fought to have her commissioning occur at the union level instead. They felt this would add a level of transparency and show that Purple’s commission is fully backed by the NUC. The pastors succeeded, and the commissioning was moved to Sabbath, May 6, following the Constituency Session. Markedly absent from the event was the laying on of hands that an ordination ceremony would have included. “[Pastor Purple’s commissioning] caused a lot of confusion internationally due to a number of factors,” an official close to the situation admitted. It remains to be seen whether TED will get its wish to unify its unions under a single, inclusive credential during the GC Annual Council, scheduled for October 5-11, 2017. Meanwhile, NUC officials say that Pastor Purple’s ordination is still scheduled for October, after Annual Council concludes. Editor’s Note: A previous version of this article stated that the GC Unity Commission met with TED during an Executive Committee session on April 27-28. We have since been informed that the meeting between the Unity Commission and TED was a separate meeting on these dates. The article has been updated to reflect this.